What is the Forecasting tool? The Forecasting Tool is an Excel* based application that can generate valuable forecasts, in just 4 easy steps, for any growth process that has an S-shape. You can also use it even when the growth process has a Bell-shape. 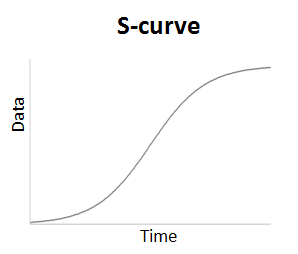 In this case you should first transform the process to an S-curve by using cumulative data i.e. the sum of all data until a certain period. For instance, if your data represent one-off product sales per year, you should use the sum of total sales from the first year until each year. 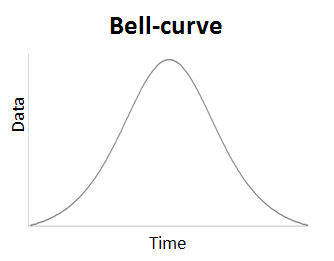 The Forecasting Tool can be used to data sets of different nature, such as: new product or technology market penetration, customer installed base evolution, cumulative product sales, new ideas adaption, spread of news, population growth, spread of epidemics, and virtually any growth process that has an upper limit and resembles an S-curve or a Bell-curve.